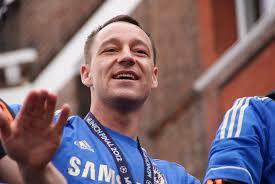 John Terry’s Chelsea contract officially expires this weekend, and the Blues are eyeing a replacement. Antonio Conte afforded the former skipper very little game time last season anyway, preferring Gary Cahill and David Luiz. It’s unsurprising, though, that he is still keen to bring in a new centre-back. The Guardian report that the club are in talks with Roma over £40million-rated Antonio Rudiger, though the Premier Legaue champions are hoping they can talk down that price slightly. The Germany international looked set to leave Serie A last summer, but a serious knee injury robbed him of that opportunity. Rudiger can play at right-back, but he primarily plays in the middle of the defence. For the coming days, he will remain with his national side at the Confederations Cup, but Chelsea will want to make progress on the deal as soon as he returns to his current club. Conte will also look to wrap up deals for Monaco’s Tiemoue Bakayoko and Juventus’ Alex Sandro next week.